A-HOTEL.com - Luxury and cheap accommodation in Aucupis, Latvia. Prices and hotel, apartment booking in Aucupis and surrounding. This indicative offer was derived from the most recently booked accommodation in Aucupis and sort by the price, from cheapest Aucupis accommodation to the most expensive hotels. To select accommodation by your preferences we recommend to choose from 1 accommodation offers in Aucupis in total. By entering the dates of your overnight stay in Aucupis and using the filter tools you can sort the best possible accommodation for you. The entered dates of your stay are crucial for the most accurate offer as it derives all the online information on pricing and availability of Aucupis accommodation. Then you can book the selected Aucupis lodging (hotels, apartments etc.) immediately. Ausmas is located in the historical Omuli brewery manor house, which was built in 1900. The property is surrounded by nature and features a free private parking. Järvesilma Tourism Farm is a family run guest house located in Jeti, right on the shore of the Lake Virtsjärv and just 4 km from the Latvian border. There is a volleyball court and a sauna complex. Taagepera Castle is surrounded by a beautiful park with sport facilities. It offers stylish rooms with free Wi-Fi. Located in the town of Tõrva, only 650 metres from Tõrva Bus Station, Sports Club Viraaž Hostel offers self-catering accommodation with free Wi-Fi and private parking. Various sports facilities are available. Piiri Hostel in Valka features free bikes and a casino. Guests can make use of a shared lounge. Tolli Hostel in Valga offers simple, warmly decorated rooms with free Wi-Fi and a TV. Guests are welcome to relax in front of a fireplace or use a professional gym. 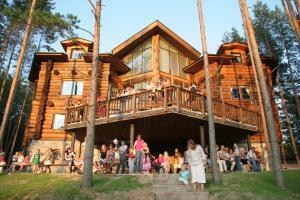 Hotell De Tolly is located in Tõrva, 200 metres from the Lake Riiska. It offers Wi-Fi and private parking. Otrā Elpa is located in the centre of Valka. Guests are welcome to use free Wi-Fi in all areas of this property. Helge Guest House is a family home located in a peaceful neighbourhood of Valga. It features rooms with free Wi-Fi internet. Maria Hostel is located in the centre of Valga, about 1 km from the Valga Train and Bus Stations. Free Wi-Fi access and private parking are available. Featuring accommodation with a patio, Kähri Home Accomodation is located in Valga. This homestay offers barbecue facilities as well as a garden. Offering free Wi-Fi, this hotel is quietly situated in the centre of Valga. Built in 1912, it is decorated with antique furniture, and the unique restaurant is furnished with a hunting theme. Aare Home Accommodation offers rooms with free Wi-Fi. It lies in the border town of Valga, 2. Greete Motel is a spacious wooden house, located in a quiet, green area in Soontaga. It offers unique rooms with natural wooden walls, as well as free Wi-Fi and wonderful views of a lake and a forest. Lauvas Līcis is set in Rūjiena and features a garden. Among the various facilities are a terrace and a shared lounge. Ķoņu dzirnavas offers accommodation in a 200-years old mill, located on the bank of Rūja River. Bed linen is made of home produced wool and there is a bathhouse and sauna on site. Situated at a riverbank, Kalda Talu offers accommodation in natural surroundings. Guests are welcome to use free Wi-Fi and a free parking. Kivimaa Puhkemaja is located in a quiet and green area of Tiidu. Free Wi-Fi access is available in this holiday home. Offering free WiFi, World's End Hostel is located in Iigaste. Among the various facilities are barbecue facilities and a garden. Kempings Ezerpriedes is located in Burtnieki. Complimentary WiFi is provided.